The fasting the mind retreat directly impacts your habits and way of being in the world to create peace and calmness in your life as well as allow you to build a firm psychological defense against the increasing bombardment of distractions in our world. 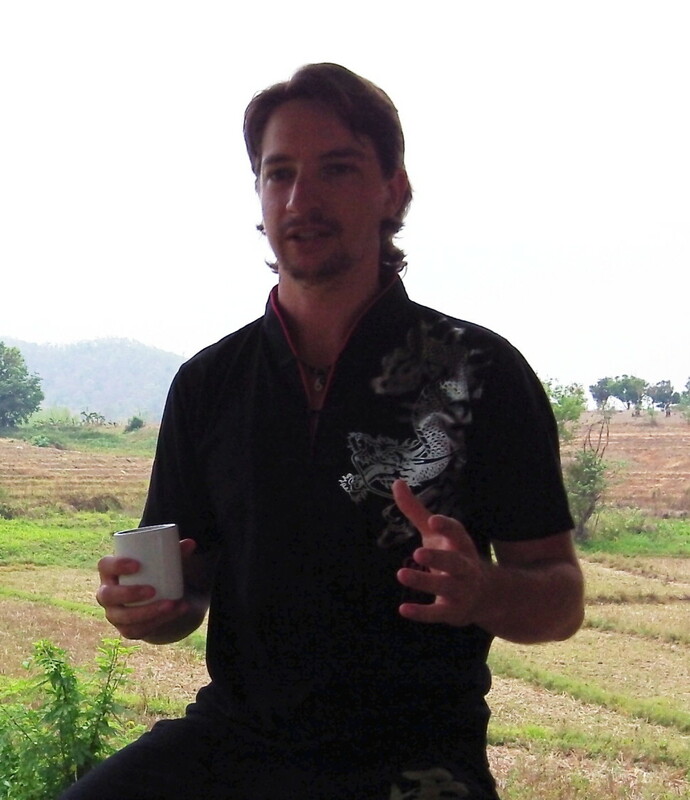 The retreats are held by philosopher and spiritual teacher Jason Gregory. The retreat is designed to fast your mind, healing the mind at the root level. The ancient practice of fasting the mind is based on the great spiritual traditions from the East. Fasting the mind is completely different to fasting the body. Fasting the mind is about eliminating all external distractions from your life and also your habit to overthink so your mind can reach equanimity, revealing the deeper nature of yourself. The practice of fasting the mind repairs the nervous system and heals cognitive impairment. The practice of mind fasting is the most skillful method to deal with your subconscious, effecting your action and habits. This ultimately transforms the subconscious to better your life. You will learn the mind fasting practices and daily habits to take back into your everyday life. You will learn how to nourish the four fundamentals of meditation, exercise, diet, and sleep. Jason will give you the tools to cultivate intelligence and harness creativity. The retreat is designed for everybody because the fasting the mind practice is essential for taking your foot off the accelerator in your actively busy life. The time spent on the fasting the mind retreat is perfect for those who suffer from the busyness of life and also people with mental health issues such as depression, chronic anxiety and stress, and so on. The retreat is for those new to meditative practices and also advanced practitioners. From completely pressing pause on your busy life you begin to heal your mind and reach your full potential. What you will experience on the fasting the mind retreat will permanently impact your life. Are you ready for the ultimate fast? Where is the Fasting the Mind Retreat? 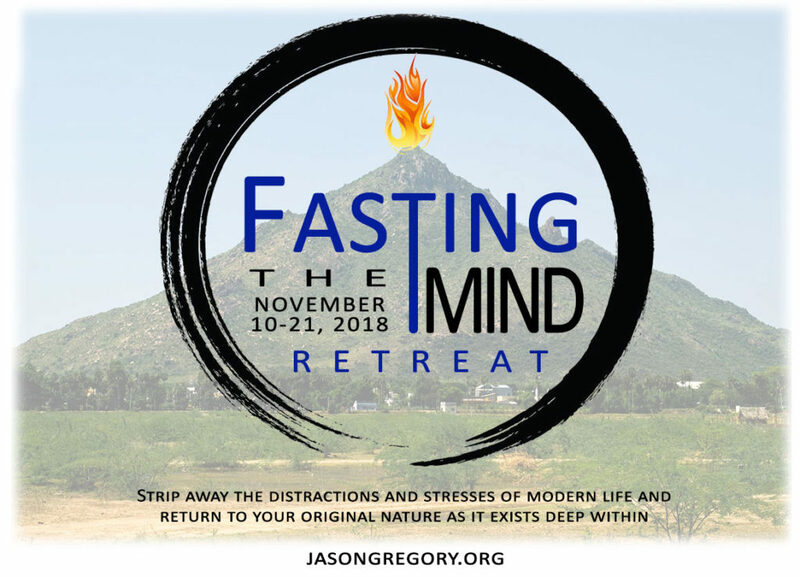 The Fasting the Mind Retreat will be held in Tiruvannamalai, India. Tiruvannmalai is considered one of the most sacred places on Earth that has the ability to transform one’s life. It is known as the City of Enlightenment for that very reason. It has been the home to sages, sadhus, and yogis for thousands of years. Tiruvannamalai is home to the holy mountain Arunachala which is thought of to be an incarnation of Shiva. Arunachala is what drew the 20th century sage Sri Ramana Maharshi to this little Indian town, where he remained silent for 7 years up on the holy mountain in meditation. During his life at the foot of Arunachala disciples were attracted to his immense presence and an ashram was built around him, the famous Sri Ramana Asramam. It was here that Paul Brunton had his famous encounter with the Maharshi and consequently led to his international bestseller In Search of Secret India. This Hindu culture has never left this place, where you find sadhus descend on Tiruvannamalai every day renouncing the world to be at the foot of Arunachala and to also spend time in meditation at the Arunachaleswarar Temple (Temple of Shiva). Tiruvannamalai is steeped in the fasting the mind practice and method. * After August 15, 2018 deposit or full payment are nonrefundable. This refund policy is in place because from August 15, 2018 all accommodation will be booked. There will be no refund after August 15, 2018 as a result. We encourage you to book this retreat as soon as possible, because the retreat is designed for only 8 people!